Hello! Thank you so much for stopping by! 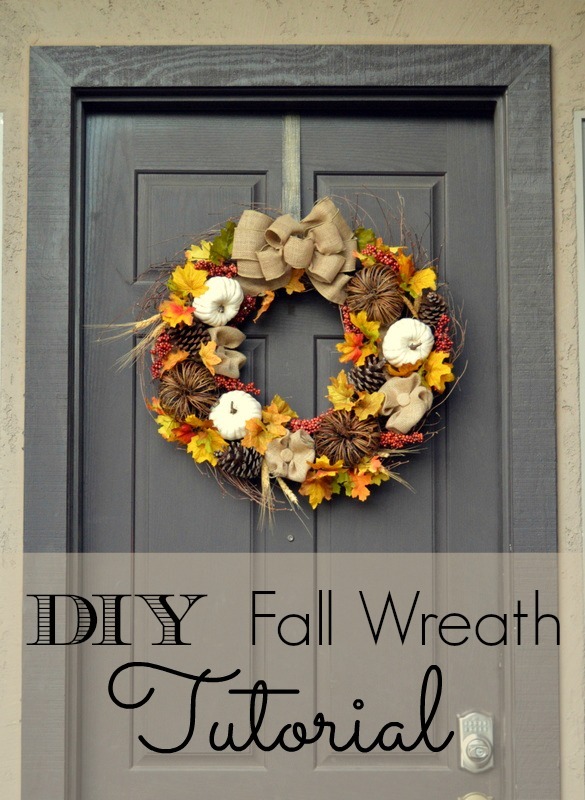 With Halloween over and Thanksgiving quickly approaching, I wanted to do a quick round-up of my favorite festive fall wreaths, to help me (and hopefully you) get inspired for more fun fall projects! 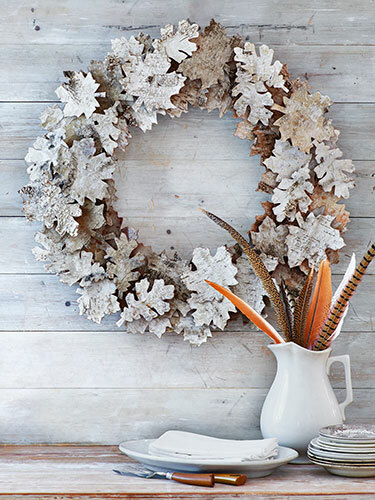 I love this delicate, yet rustic wreath! It’s one of my all-time favorites! 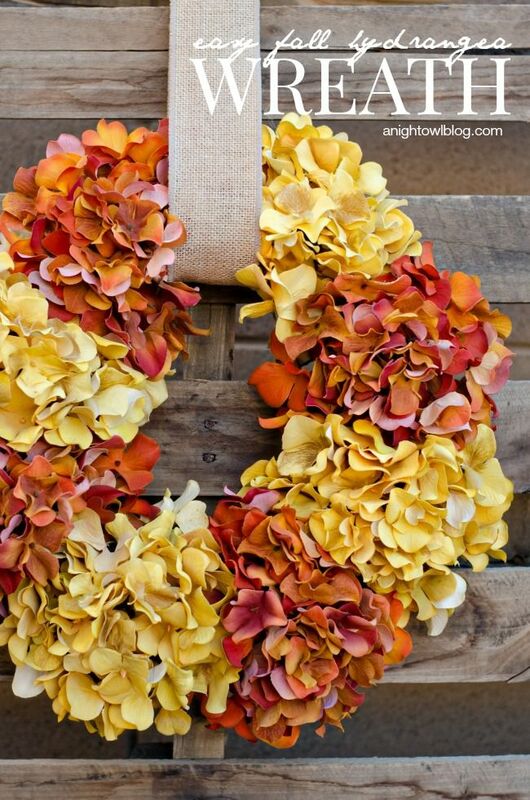 Isn’t this colorful wreath absolutely gorgeous? 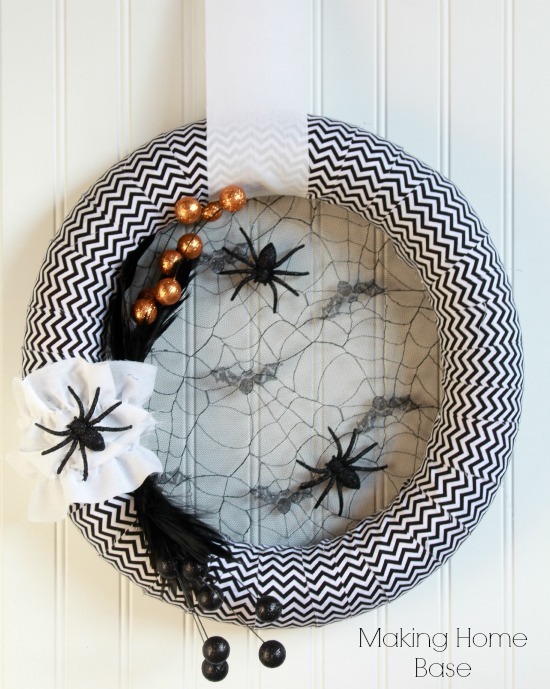 Canning Lid and Washi Tape Halloween Wreath from Create.Craft.Love. 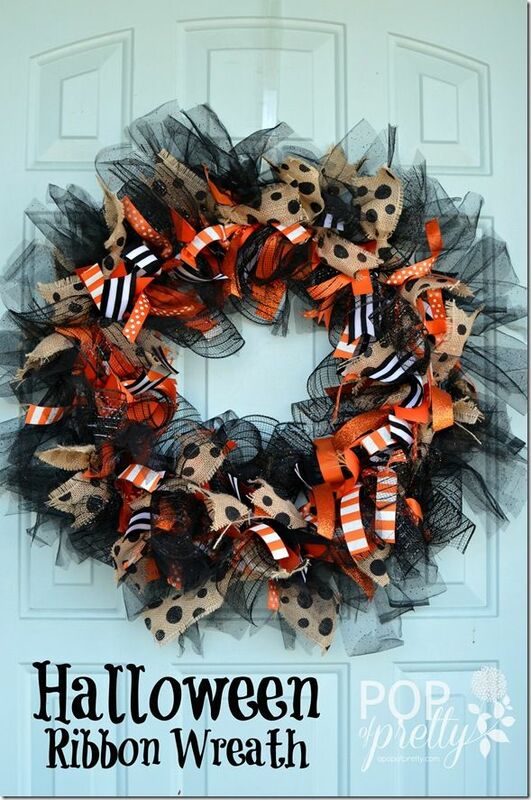 This fun Halloween wreath just might take the prize for most creative! 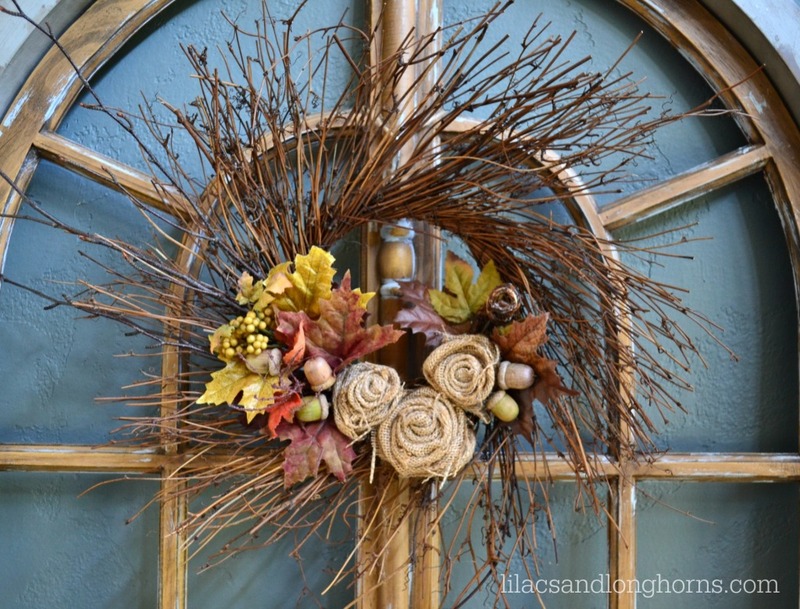 I love that this pretty fall wreath can be used throughout fall and into the winter holidays. 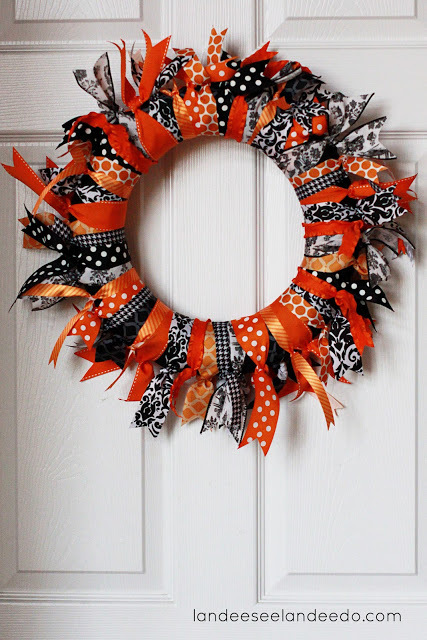 This gorgeous wreath captures the fun of Halloween, without being spooky or scary! How can something so easy to make be so gorgeous? 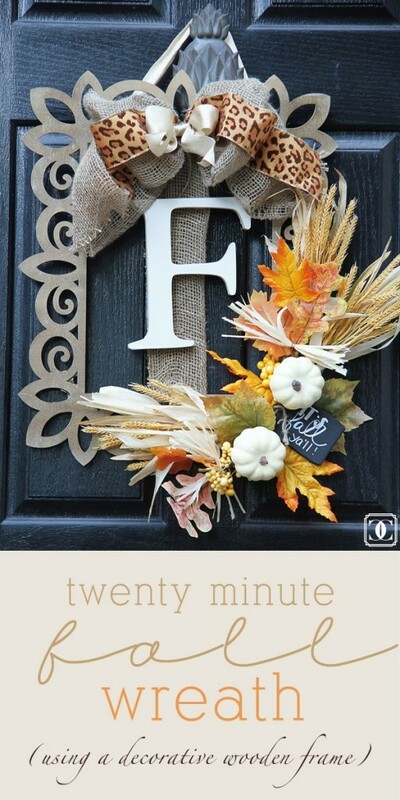 I absolutely LOVE this festive fall wreath! 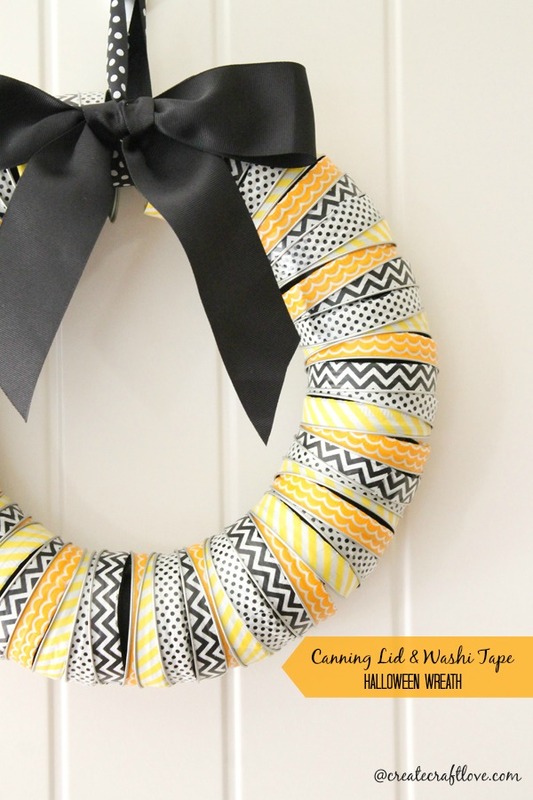 Another wreath that is just too pretty to be easy-to-make! 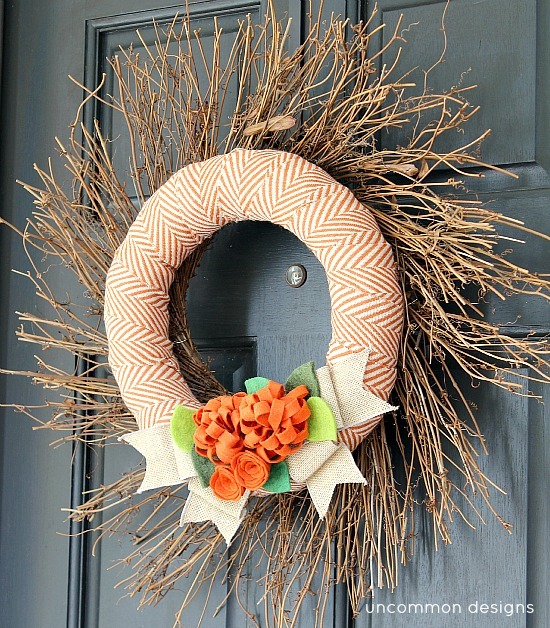 This fun Halloween wreath makes for the perfect fall afternoon DIY project. Creative.Cute. and just a little bit Creepy. LOVE! 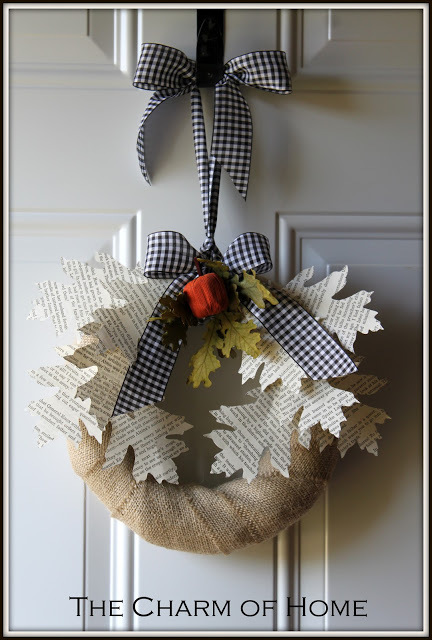 Three of my favorites combined in one wreath – burlap, book pages and checked ribbon! 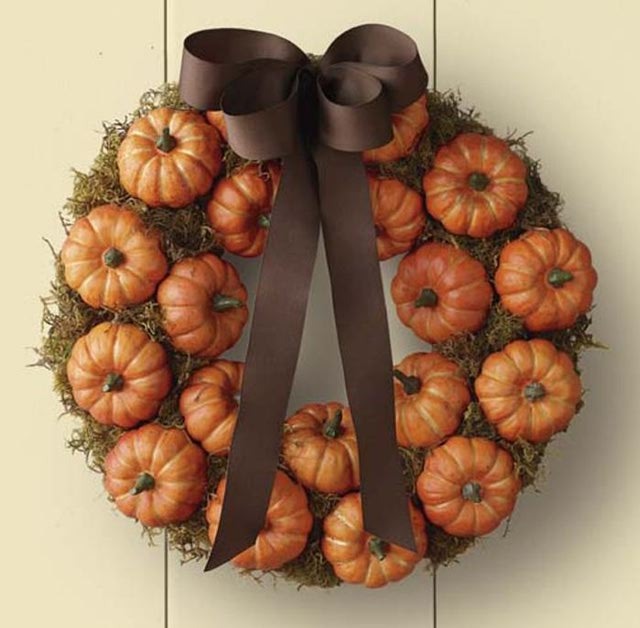 This wreath captures the feeling of fall so perfectly! 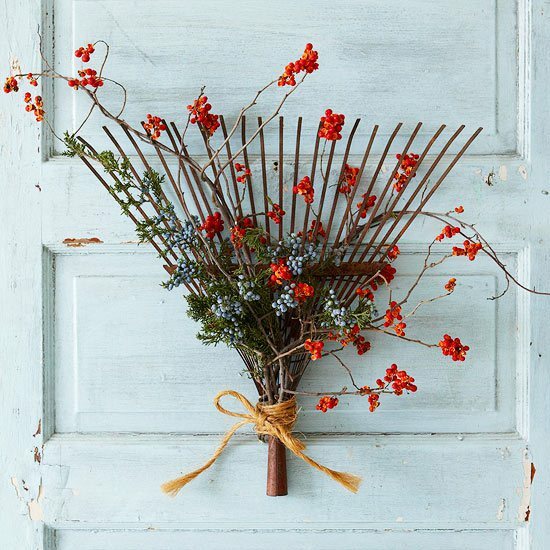 A garden rake-turned-festive-fall-wreath! Who would’ve thought! 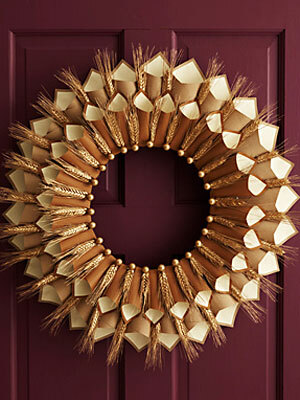 The classic seasonal wheat wreath! Who doesn’t love popcorn? 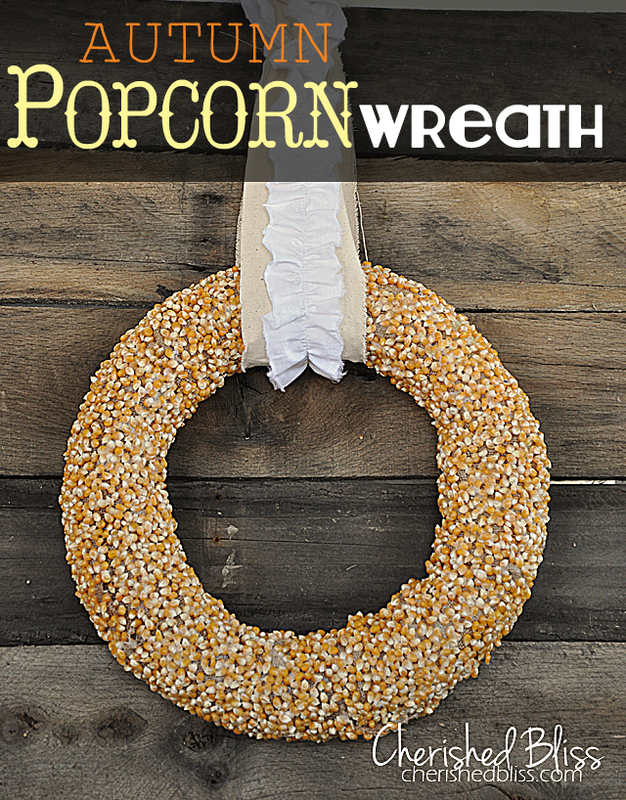 I love this seeded popcorn wreath! 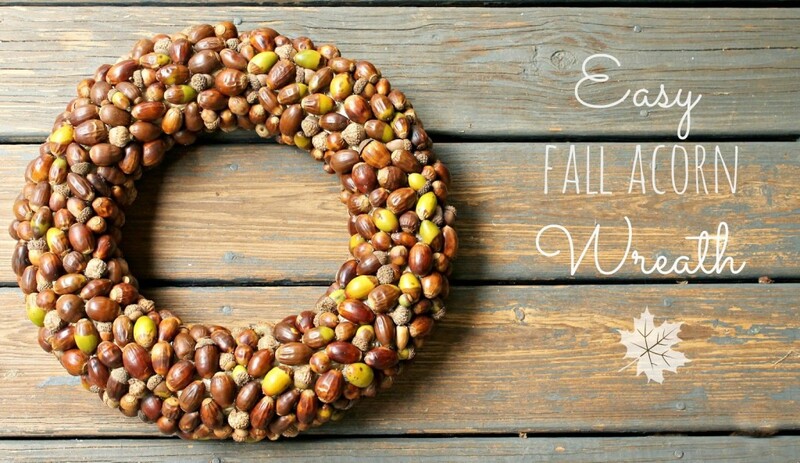 I hope you enjoyed this festive fall wreath round-up! Thank you so much for stopping by! 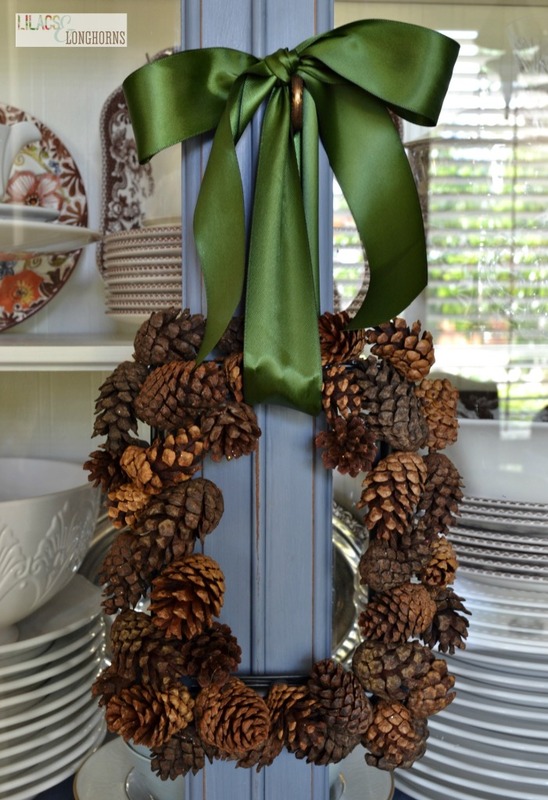 What a fun Wreath Round-Up! I love them all! Thanks for sharing! PINNED! Thank you, Michelle – so glad you like them! Thanks for stopping by! That popcorn wreath is just lovely… I did a split pea wreath once and it took me FORVER to modge podge all of the peas to the wreath, so I doubt I am in for a project like that again. the wasabi and canned lid wreath is really neat, too! Thanks for linking up with Motivational Monday, hope to see you back this week! 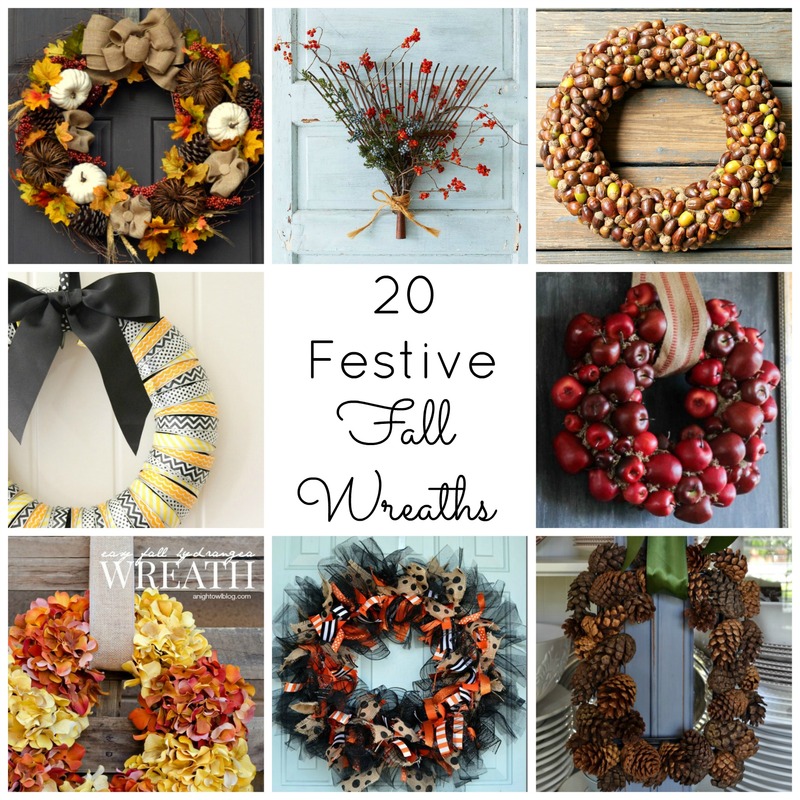 Terrific round up of wreaths – I really like how unique that rake one is! 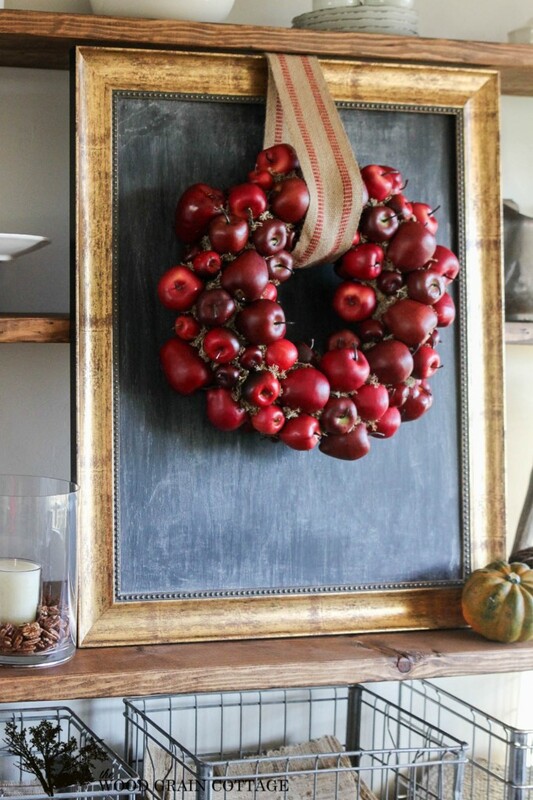 Wow, thanks for this round up of fall wreaths! I need to make one for my front door… now which one?! 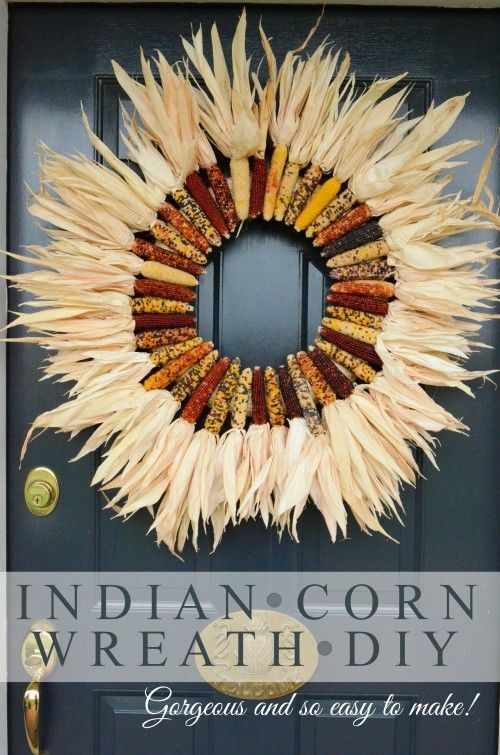 I really like the Birch Bark Leaf Wreath but then the Indian Corn wreath is really nice too. Decisions! Thank you Aspen Jay! Aren’t these ladies soooo talented? 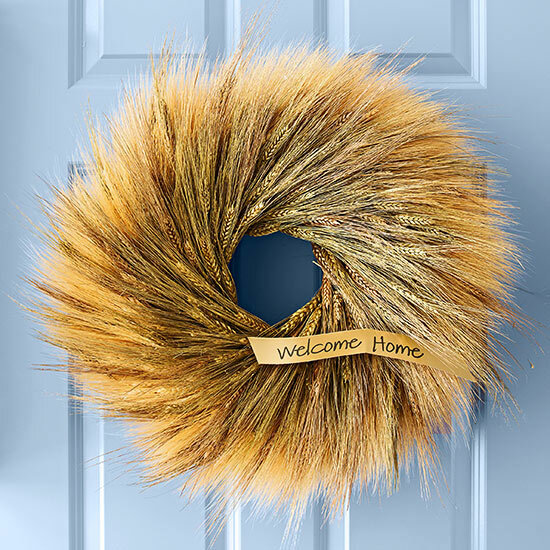 Makes me want to make a new wreath, too! Thank you so much for stopping by and leaving a sweet comment!